Secondary Rhinoplasty | Los Angeles | J. Brian Boyd, M.D. The nose is centrally located on the face, which makes it one of the first things people notice about you. If your nose has deformities or you aren’t happy with the shape, it can be embarrassing. 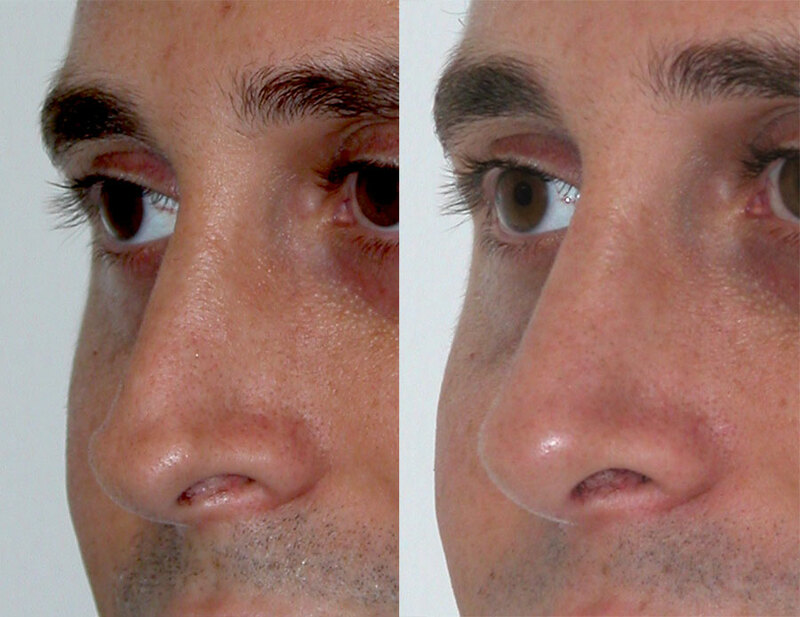 Rhinoplasty can enhance the nasal structure for improvements in symmetry and balance. While rhinoplasty is one of the most popular cosmetic procedures, it is also one of the most challenging surgeries to perform. In some cases, results are unsatisfactory, or initially satisfying results can be damaged through an accident or heal irregularly. Fortunately, rhinoplasty revision, also referred to as repeat (or secondary) rhinoplasty, can alter previous nasal surgery results to adjust the profile of your nose and produce a more desired contour. Who Can Benefit From Rhinoplasty Revision? When considering rhinoplasty revision, you should consider whether you identify with one or more of the following. Patients who have undergone rhinoplasty are sometimes unhappy with the results, whether the changes were too subtle, breathing was obstructed, deformities were not corrected, or the desired nasal shape wasn’t achieved. With rhinoplasty revision, surgeons must exercise the utmost precision to ensure adjustments are optimal to achieve the desired results. Over time, the nose can undergo changes that undo some of the effects of an initial rhinoplasty, which can reshape the nose and sometimes cause an undesired outcome or new deformity. Rhinoplasty revision can address nasal concerns and provide structure for the ideal contour and improved breathing. Whether undergone for functional or aesthetic reasons, revision rhinoplasty can resolve most concerns by repairing nasal shape. Scheduling a consultation with Dr. Boyd is the essential first step in your rhinoplasty revision process, as this meeting will provide him with a better understanding of your cosmetic goals. A full medical history and communication of your concerns and desires are required for better results. It may be helpful to supply images of noses that you find attractive and to review Dr. Boyd’s before-and-after photo gallery. Based on your preferences, a treatment plan will be created to help attain harmony between your facial features. Similar to your initial rhinoplasty, incisions can be made either through the open or closed technique and will depend on what corrections are being made. The most common approach for revision rhinoplasty is the open technique, which makes transverse incisions across the columella to allow direct access to the internal nasal structures. A long-acting numbing agent is used to ease any discomfort during and immediately following surgery. In some cases, mild skin grafting may be required to assist with healing and reduce visible scarring. If nasal cartilage has been depleted, then some cartilage may be taken from the ears to establish support in the nose. Adjustments are made as discussed during your consultation, and techniques are utilized to ensure the desired results are achieved while maintaining a natural look. As with your first rhinoplasty, bruising and swelling around the eyes and nose can be expected. Pain is not typically associated with rhinoplasty revision. Surgical packing will be placed in your nose, and a splint will be applied to the outside of your nose to support healing. Breathing through the nose will be impossible until the packing is removed, which is usually within 24 hours. Your external splint may remain intact for up to seven days, and you should rest with your head elevated for three or four days after surgery. Do not blow your nose until your physician clears you to do so. It is recommended that patients limit physical activities for three weeks. Most people choose to return to daily activities in one to three weeks, and you can expect a full recovery within six weeks. For the open rhinoplasty revision technique, a moderate scar may be visible on the underside of the nose (the columella) but should fade over time. Cosmetics can be used to cover any scarring. 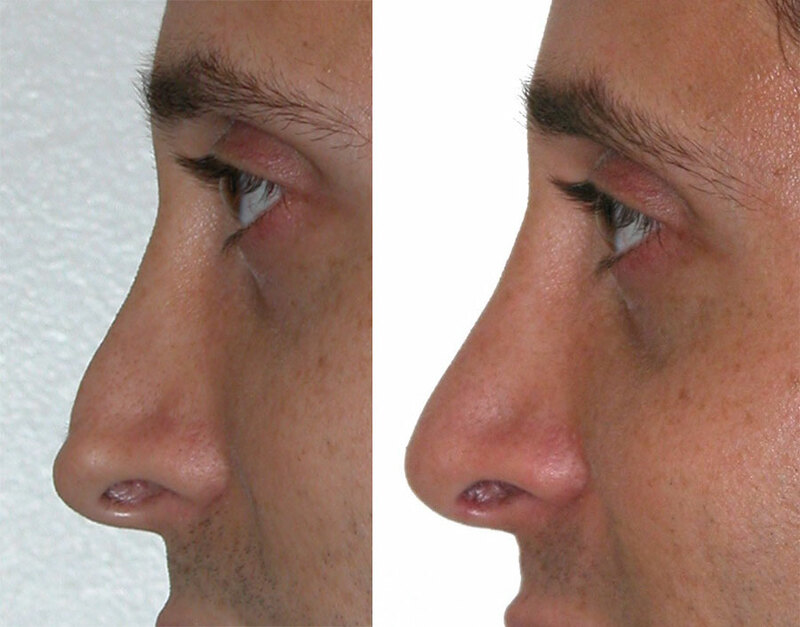 The closed rhinoplasty revision technique does not result in visible scarring, as all incisions are created inside the nasal passages. Fees associated with rhinoplasty revision will vary depending on the level of correction needed. A detailed cost estimate will be created during your consultation, and payment options can be discussed during that time. Although pain is not usually associated with rhinoplasty revision, most patients experience mild discomfort during their recovery. Nasal packing will block the passageways until the packing is removed, and oral medications can be prescribed. Rhinoplasty revision is performed while patients are under general anesthesia unless otherwise preferred. Discuss any concerns or allergies you have during your consultation to ensure a comfortable process. Are rhinoplasty revision results permanent? Dr. Boyd takes precautionary steps during rhinoplasty revision to ensure the best results are achieved, and the results are typically permanent. Can rhinoplasty revision improve my breathing issues? Yes. Share any breathing concerns during your consultation so that Dr. Boyd can address these issues during your rhinoplasty revision. Can insurance cover my nasal revision surgery? Insurance companies occasionally cover corrective procedures that help fix functional problems, such as airway obstruction, a deviated septum, or nasal deformity and malalignment resulting from an accident.